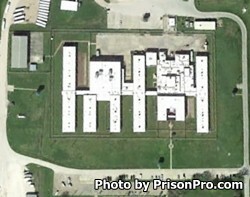 Byrd Unit is a diagnostic and classification prison located in Huntsville Texas. The facilities name is derived from a former warden of the facility James H. Byrd. Byrd Unit serves as the main intake and processing unit for all male inmates, and is where all male offenders who have been sentenced to death and to life imprisonment without the possibility of parole are initially processed. Byrd Unit has the capacity to house 1,365 male inmates of G1, G2 and temporary unclassified offenders. Programs at Byrd Unit are limited due to the short stay of most offenders. The facility does offer adult basic education, chaplain services, substance abuse treatment, and various support groups for offenders who are housed here longer periods of time. Medical care, mental health services and dental treatments are available to all offenders at Byrd Unit. Long term inmates can participate in agriculture operations which include caring for horses and the production of hay. Due to the short period of time inmates are often held at Byrd Unit, visits are only allowed if the inmate has been held here for thirty days or more and has completed intake. Offenders who have been at the facility for over 30 days can have visits on Saturdays and Sundays from 8am-5pm.